If you follow me on Instagram, you probably know that I’ve been visiting friends and family in Utah and Idaho. It’s funny because I lived here for 27 years before I moved to Louisiana and I think I’ve crammed everything I did in those 27 years into the last 10 days. We’ve been busy adventuring. I’m tired. My kids are tired. But we’re tired in the best way. 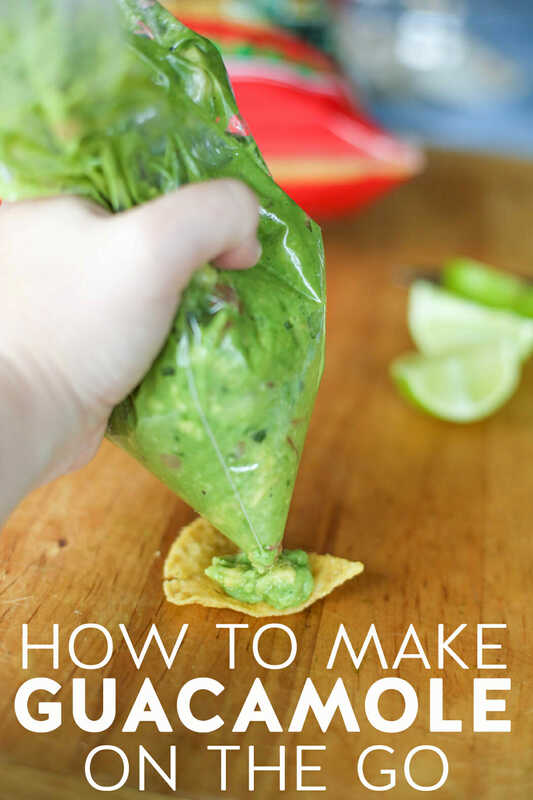 I saw this tip for how to make guacamole on the go on the Cook’s Country Instagram a couple of days ago, and it was perfect timing because we were heading up into the canyon for dinner and guacamole was on the menu. And it was such a perfect, easy hack that I had to share it with you guys! If you have a favorite recipe for guacamole, use that. If you don’t (or if you’re still searching), we have a great one right here. 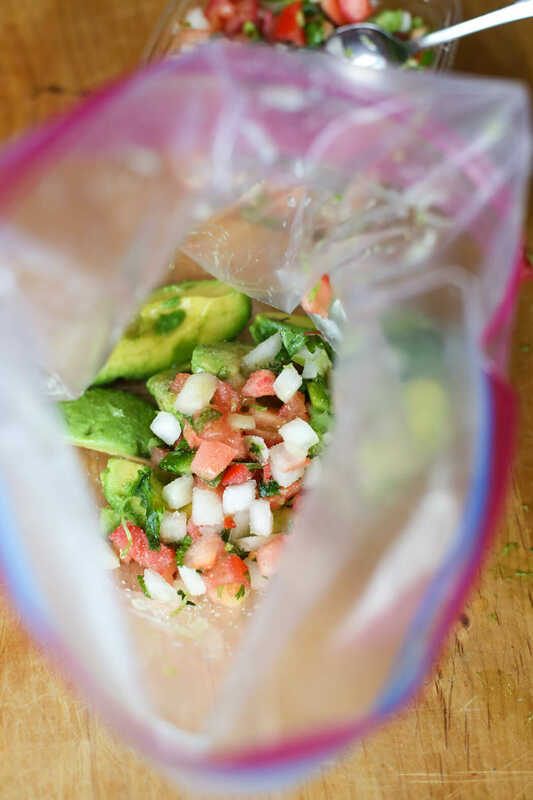 Peel and pit your avocados and place them in a heavy duty quart or gallon-sized Ziploc bag. Add remaining ingredients (in our case, lime juice, garlic, onion, tomatoes, salt, pepper or hot sauce, and sour cream). Zip the bag almost complete closed and then squeeze out as much excess air as possible and finish zipping the rest of the way. 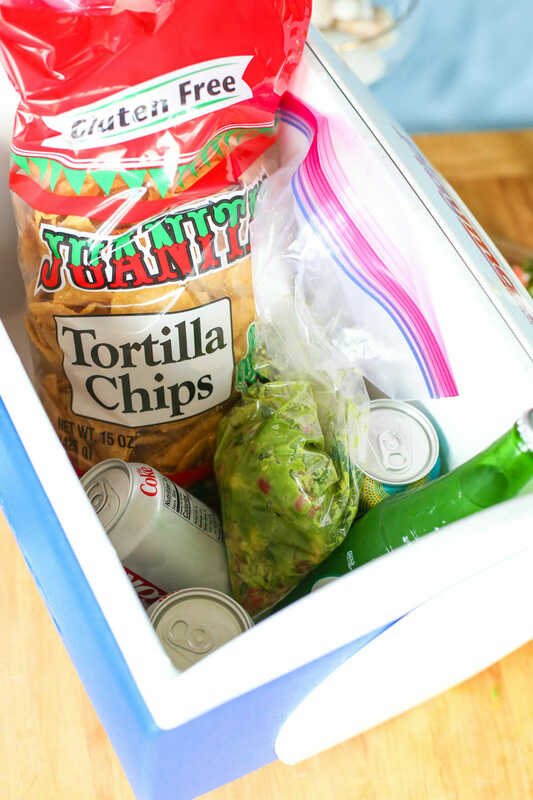 Pack in a cooler or store in the fridge until you’re ready to serve. The perfect life hack for making and taking guacamole on the go! 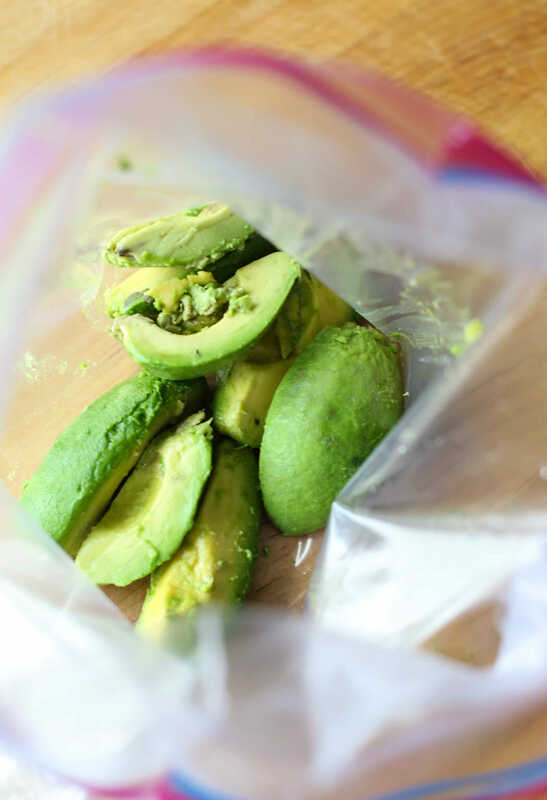 Peel and pit your avocados and place them in a heavy duty quart or gallon-sized Ziploc bag. Add remaining ingredients (in our case, lime juice, garlic, onion, tomatoes, salt, pepper or hot sauce, and sour cream). Zip the bag almost complete closed and then squeeze out as much excess air as possible and finish zipping the rest of the way. Pack in a cooler or store in the fridge until you’re ready to serve. Okay, this is so incredibly fabulous. I feel like guacamole has been underserved as a picnic food, but no more! I missed it on Cook’s Country and am so glad you shared it. Thanks, Kate! Were you ziploc bags free range? Absolutely. Only the best organic free range Ziploc bags for my treasures. This is perfect for a camping trip! Juanita’s chips are made right in Oregon…sooo good. Ooh! I have to say I was not on board with this until you got to the part about snipping the bag. I was picturing trying to scoop it out and having a big mess. But this. This is magnificent. Thank you. Do you store it in another ziplock bag when you are done? Yes! This is a fantastic idea! 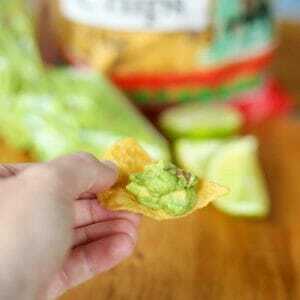 We do this with ketchup and mustard for cookouts/camping but I never thought to do it with guacamole! 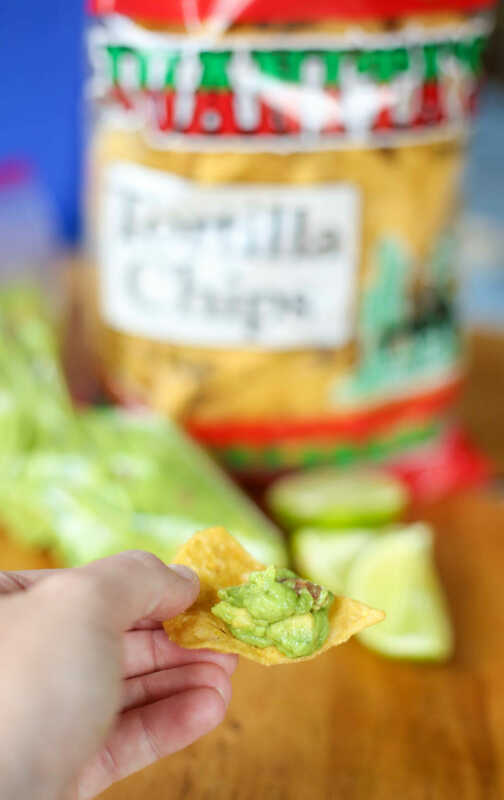 We LOVE Juanitas chips too! They are our absolute favorite! We’v’e done this for years. My kids love to have their turn to mash it into guacamole.